I’m sure many of you have already drooled over this incredible home designed by Anne Hepfer and photographed by Virginia Macdonald, it was featured in House & Home a couple years ago! Last year it was on the market, so a ton more photos of it became available too. And bless her heart, Anne has fabulously large photos on her site! 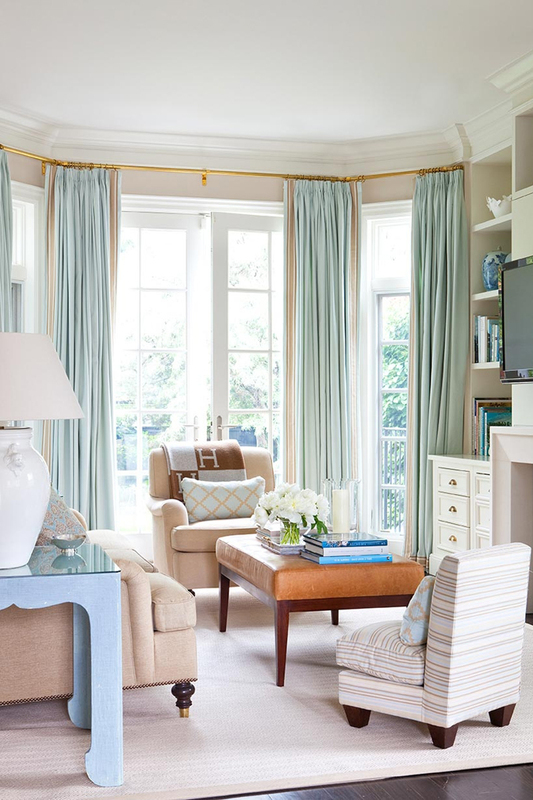 The Georgian-style home in Toronto is filled with soothing colors and comfortable, beautiful furnishings. I cannot decide what I love more: the beautiful living room with the stunning drapes, or the crazy-pretty white kitchen with its fabulous banquette! ALL so gorgeous!! 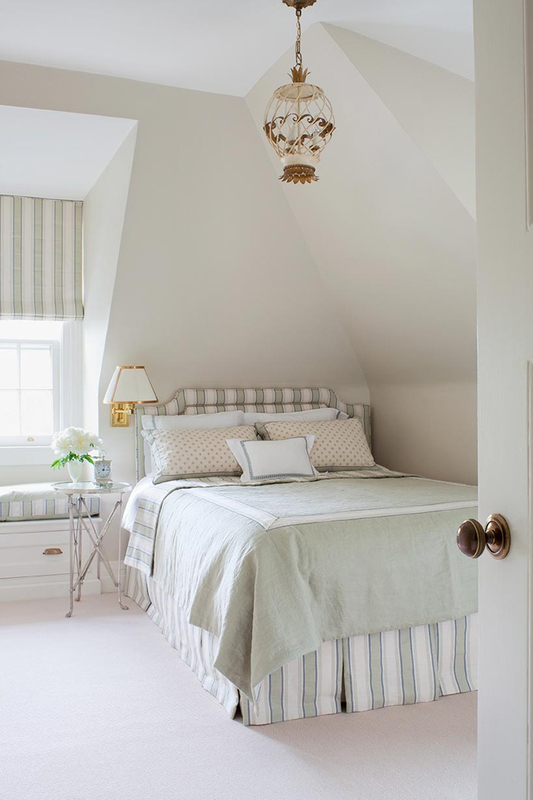 Definitely visit Anne Hepfer next…I know you’ll love the rest of her designs too! this house is gorge! and love the little kid's room! just fabulous! that is one beautiful relaxing home! 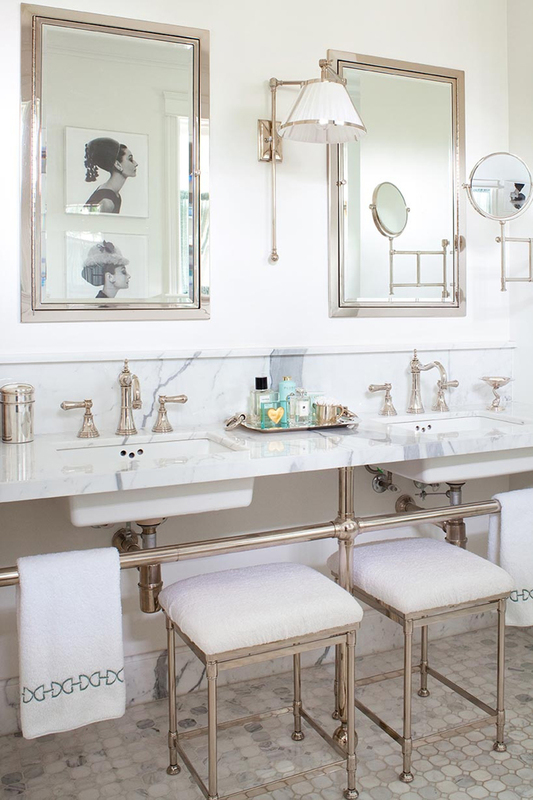 this is a gorgeous house – love that there's a mix of metals! The master bedroom is reminiscent of a late 80s Mark Hampton design (done in grey-green) and, like that design, will be in style 30 years from now! 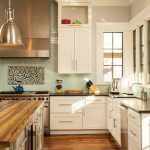 paint colors for living room and kitchen? What a beautiful house! It's so my style. Love it. Such a beautiful house! I love how light and airy it feels. Gorgeous. Those kitchen stools are amazing. 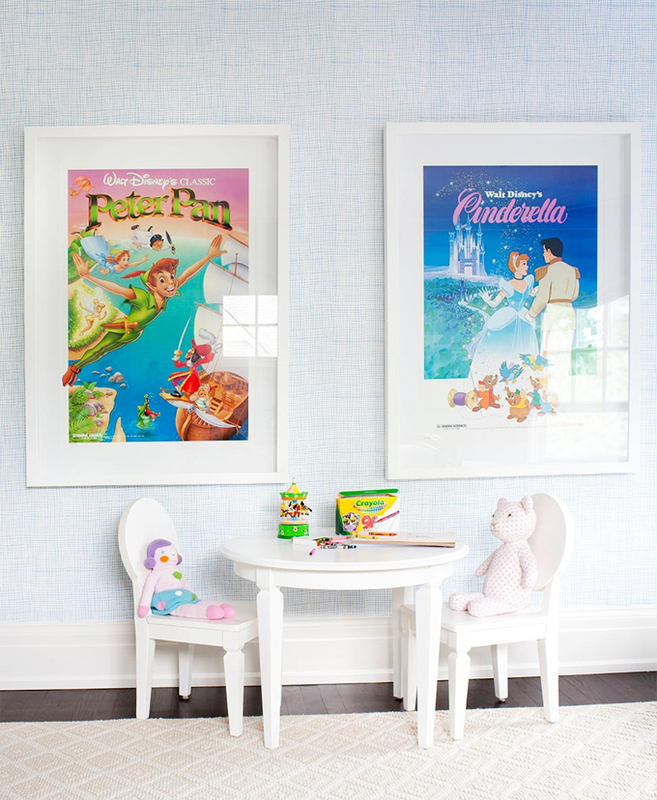 And I absolutely love the Disney prints for a child's play area! I love the bedroom lights, so unusual. Any idea where they are from? 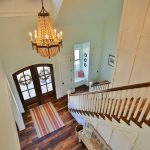 Oh… this is the perfect home! So dreamy, and soft, and delicate. I love it! Superb details all around! 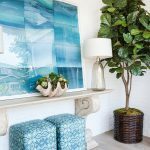 The blue and white chandelier and the blue and white counter stools are blowing me away today.There is always something in your posts that threaten to keep me awake at night daydreaming. 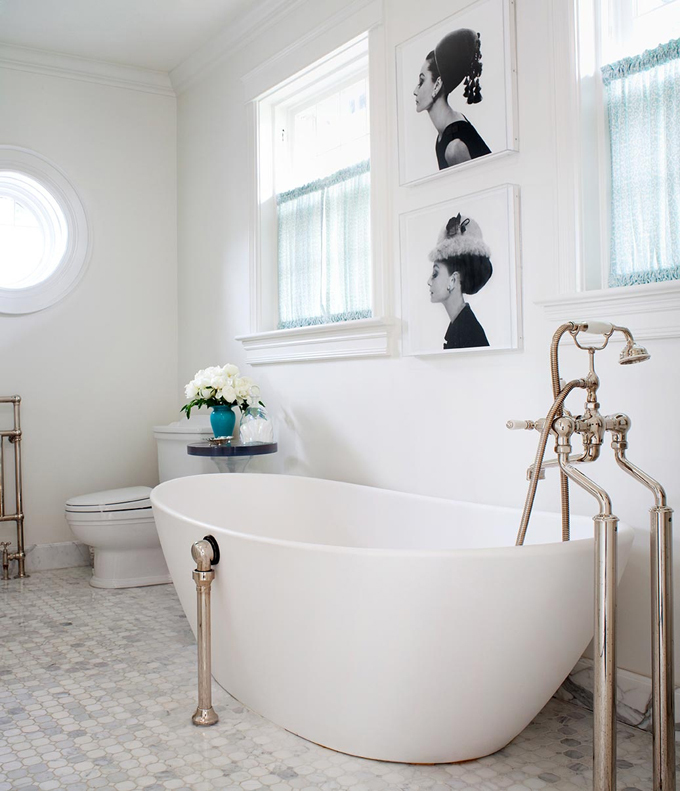 I love the bathroom with the vintage black and white fashion shots (along with my favorite hues of blue in all of the other rooms)! 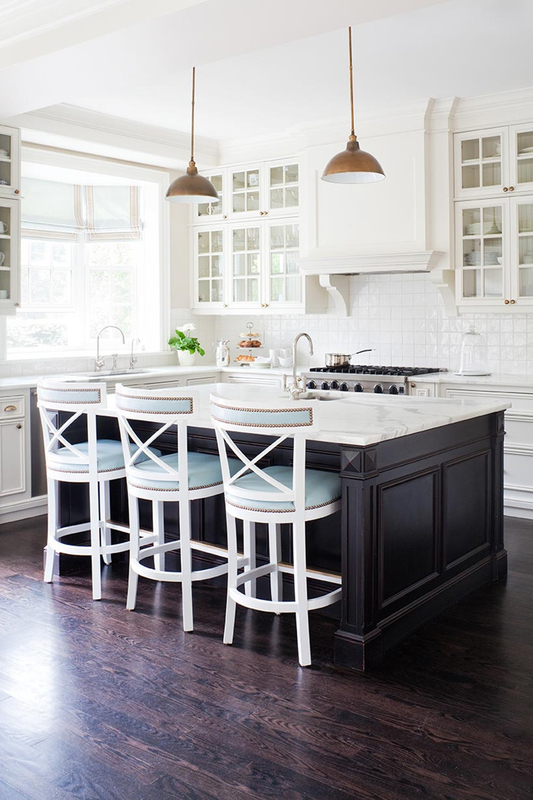 I am in mad LOVE with that kitchen! It's got so much lighting and the design and colors are SO pretty! 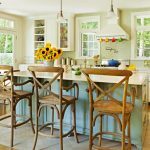 Does anyone know who makes the bar stools or the cross hatch wallpaper (Thibaut?)? I would love to know where to purchase the tufted headboard. It's just what I am looking for. 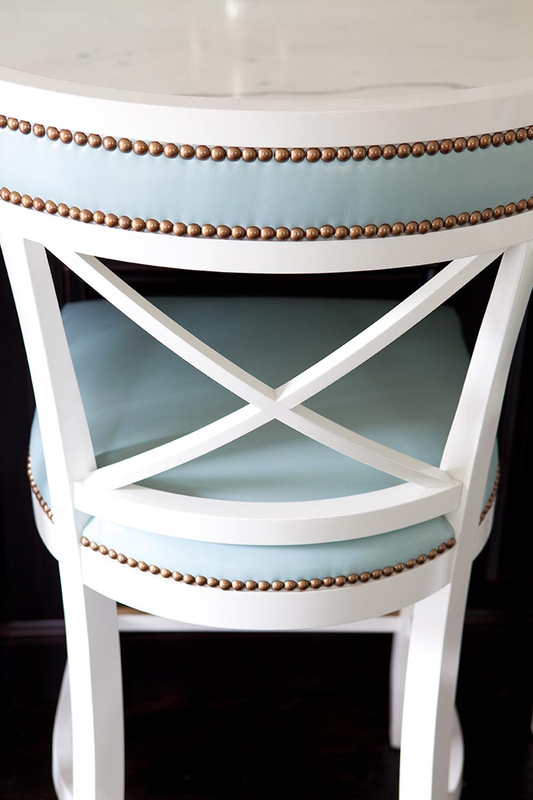 I would love to know more information on the white x back Stools with blue leather and nail head trim / Ann Hepfer. Stunning. Are they available for purchase?